Sometimes the way around a seemingly intractable situation is just a dash of good fortune at a most opportune time. If Canada gets around to enacting sports-betting legislation this year, that’s likely going to be part of the story, thanks to a stroke of gambler’s luck. The upshot: A sports-betting bill that would allow single-event sports wagering, the most traditional and common form, was going to be introduced anyway in the Canadian Parliament’s current legislative session. However, thanks to a parliamentary lottery drawing regarding the attention given to members’ so-called “private” bill, House of Commons member Brain Masse’s plans to push such a bill received a boost. Masse has already planned to reintroduce the popular but failed C-290 bill that failed to pass Canada’s Senate last year. The original form of C-290, introduced by Joe Comartin back in 2011, passed its initial hurdles easily but languished in Canada’s Senate for several years, and finally died a procedural death without ever being brought to a full Senate vote. 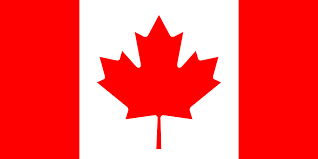 Comartin has since retired from Canada’s Parliament, but Mass, like his predecessor a New Democratic Party (NDP) member, has taken over the cause of championing single-game wagering at Canada’s federal level. When introduced, Masse’s version of the bill will have different nomenclature than Comartin’s failed effort, but is expected to have a highly similar structure. Masse’s stroke of good fortune will at least get the latest Canadian sports-betting bill off to a running start. Canada’s parliamentary rules mandate that no more than 30 such “private” bills can be offered for consideration at any single time, as part of a larger effort to clear the legislature’s agenda of a majority of non-vital legislation. Each House of Commons member is drawn at random from a drum, and winning member are allowed to introduce one such private bill each. Despite the renewed opportunity for Masse’s C-290 successor bill, some of the obstacles that blockaded the progress of Comartin’s original bill remain intact. That means that even with the lottery-style boost, Masse’s single-sports bill still faces something of an uphill climb. As we noted last November, when the original bill died and Masse announced his planned resubmission, Canada’s Senate is an entrenched, and often fails to take action on these so-called “private” bills simply because they can choose to take that path, wielding arbitrary control over that part of the country’s legislative process. A second and related obstacle is that the very same Canadian Senate features greater control of power by Canada’s Conservative Party, which unlike Comartin’s and Masse’s NDP, traditionally has been against large-scale gambling expansions. (Canada’s French-speaking provinces — generally Quebec and areas north and east — are also somewhat more conservative on gambling matters than the predominantly English-speaking central and western Canada regions. In other words, not much may be different from the 2011-12 era when Comartin’s original C-290 sailed through the House of Commons, then fizzled. 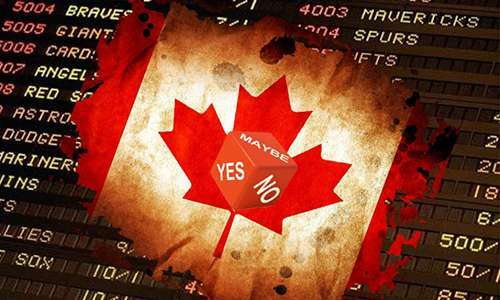 It’s perhaps true that public sentiment in Canada may have shifted slightly more in favor of allowing single-sports betting in the intervening years, but whether that’s enough to overcome the waiting Senate obstacles is certainly no sure thing.